(September 6, 2017) New York’s Center for Jewish History is currently being subjected to an aggressive and unacceptable outside campaign to discredit its newly appointed CEO and President, David N. Myers of the University of California, Los Angeles. Professor Myers is a widely known and distinguished Jewish studies scholar who is highly qualified to administer a center devoted to Jewish culture and history. The Center has an accomplished Academic Advisory Board and a well-qualified group of Executive Directors. The Alliance for Academic Freedom (AAF) deplores this destructive and unjustified intervention in the Center’s affairs; we reject it as an unprincipled effort to compromise the Center’s academic and intellectual integrity. Although the number of those involved in the campaign is small, the campaign’s potential for negative publicity is large. 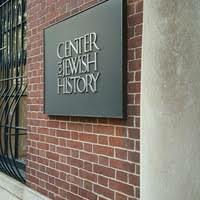 We urge all who care about the Center for Jewish History, including our fellow academics, to join us in supporting the Center’s decision (http://www.cjh.org/about/contact-us). From the Executive Committee of the Alliance for Academic Freedom: David Greenberg, Rebecca Lesses, Jeffry Mallow, Deborah Dash Moore, Cary Nelson (Chair), Sharon Musher, Kenneth Stern, Irene Tucker.